With 84.58 percent of approval votes, the 14th National Assembly passed a Law on Belief and Religion in the second session’s November 18 sitting. With 68 articles in 9 chapters, the freshly-adopted law stipulates that everyone has the right to freedom of belief and religion, following or not following any religions. Everybody has the right to exercise religious practices and attend religious festivals. Authorised religious organisations are allowed to operate in line with their charters and regulations; hold religious activities; publish religion-related documents; build or upgrade religious establishments; and receive legal donations from individuals or organisations both in and outside the country. In order to ensure the right to freedom of religion, the law clearly prescribes that the State respects and protects everyone’s right to freedom of belief and religion, and ensures that all religions are equal before the law. 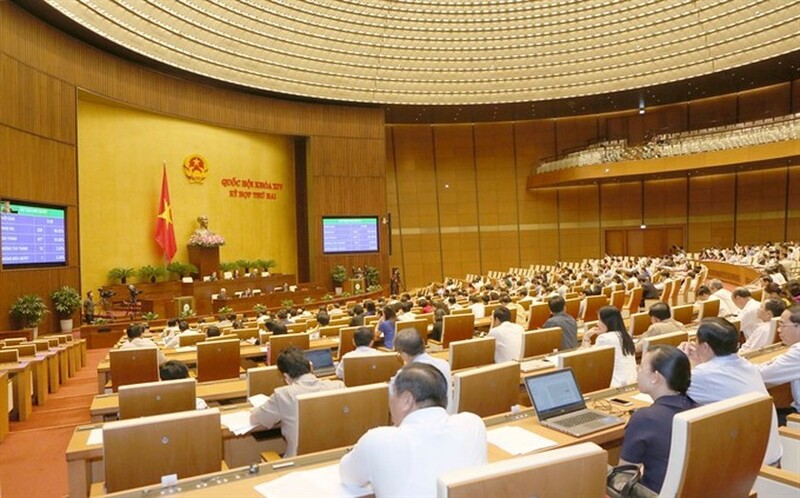 The Vietnam Fatherland Front is responsible for uniting religious followers and non-followers to build the great national unity bloc for national construction and defence; and timely reporting the people’s opinions, aspirations and petitions on religious issues to competent State agencies. 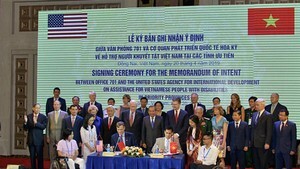 The Vietnam Fatherland Front is assigned to participate in drafting legal documents on belief and religion, as well as monitoring activities of people-elected agencies, organisations, officials and civil servants in the implementation of religious laws and policies. All discriminations for religious reasons; actions that force or hinder others from following or not following religion and belief; actions that offend belief and religion or taking advantage of religious activities to seek profit are prohibited. The law also bans religious activities that infringe on national defence, security, sovereignty, and social order and safety; harm social ethics, personal lives and assets; offend other persons’ honour and human dignity; prevent the performance of civil rights and obligations; and disunite the nation, religions and among belief and religion followers and non-followers.